My first Christmas away from home – it would be a little strange in any case, but add to it all the wonderful delights that come with being in India and you have quite the eclectic holiday experience. In Goa Christmas is celebrated on the 24th. 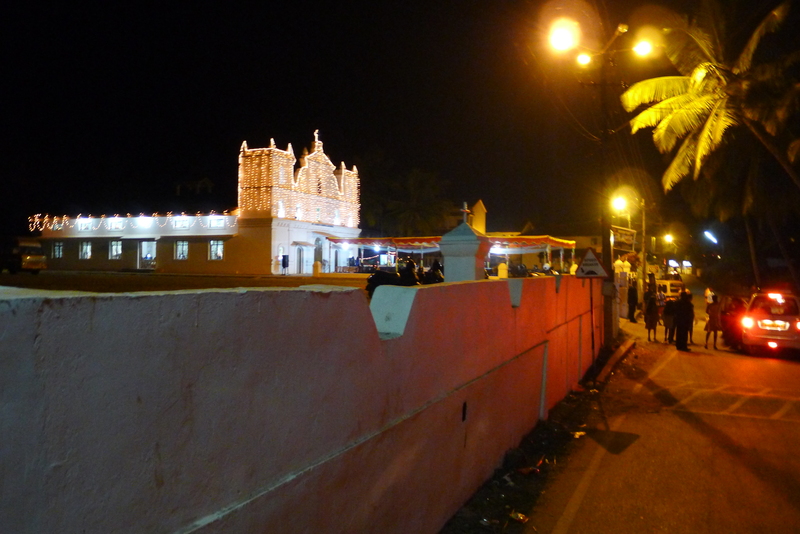 Everyone puts on his or her best sari or shiny suit and heads out to church for midnight mass. The whole town takes on the air of a street party. Christmas carols serenade rooftop yoga classes. Fireworks explode over the beach. And the streets are lined with lit paper stars hanging from palm trees. No white Christmas here, but if you like a sea breeze with your twinkle lights, you’re in the right place.